The Eminem x Carhartt x Air Jordan IV was one of the rarest and most expensive sneakers to release last year, limited to those who won an auction or are close friends with Eminem. To nobody’s surprise, DJ Khaled got a pair sent to him, but it sounds like the coveted sneakers aren’t what he wants the most from Eminem. Khaled took to Snapchat and Instagram to share a video clip of his new sneakers, saying “It’s official. I got my Eminem Jordans. 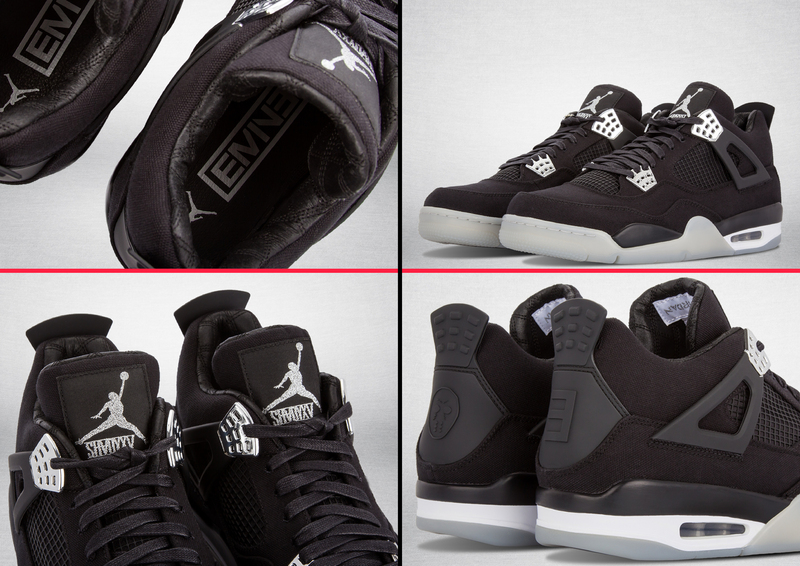 I ain’t get my verse yet, but I got my Eminem Jordans.” It looks like the only thing rarer than Eminem Air Jordans these days is a rap verse from him.